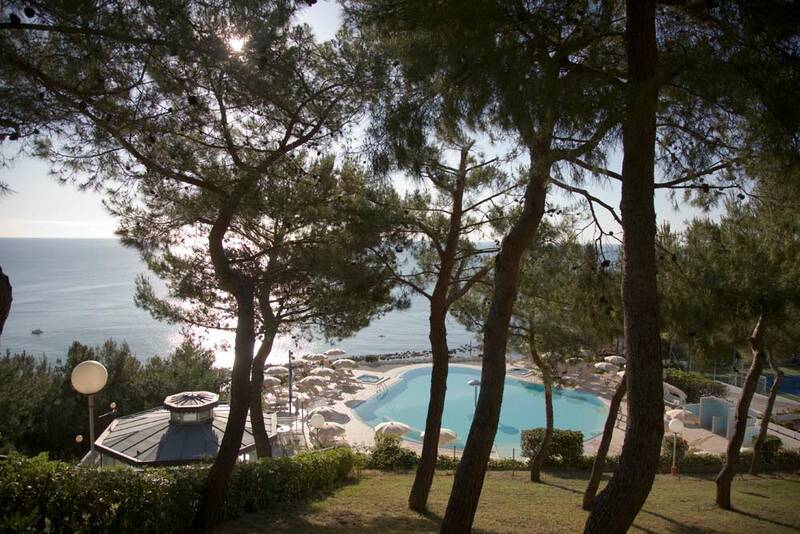 Relaxing moments to be spent at the Hotel Eden Gigli. 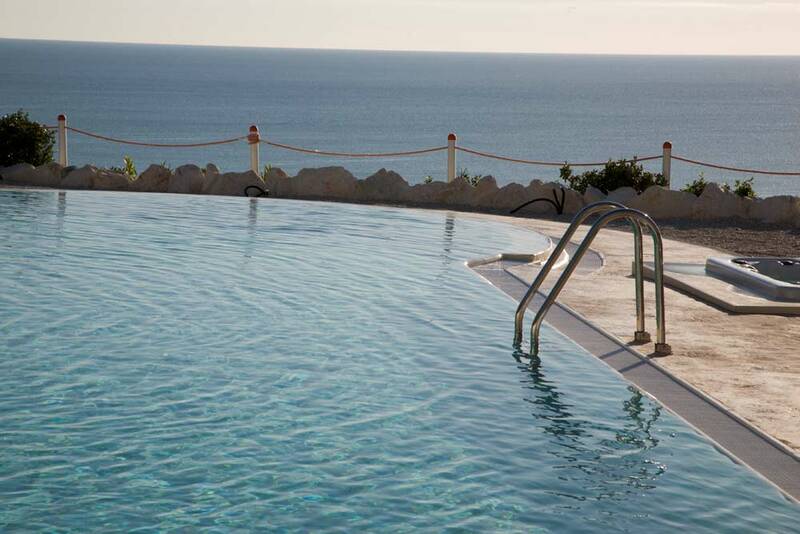 Our guests are provided with swimming-pool area with swimming pool with sea water, water features and whirlpools with hot water. 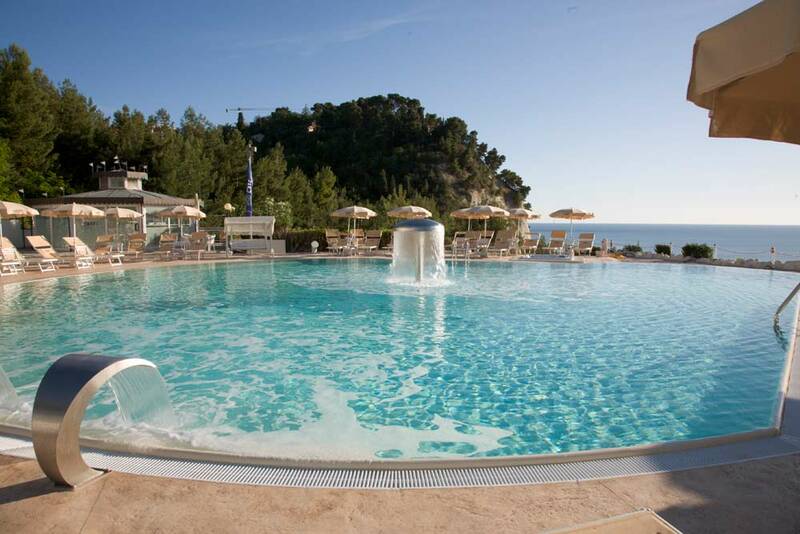 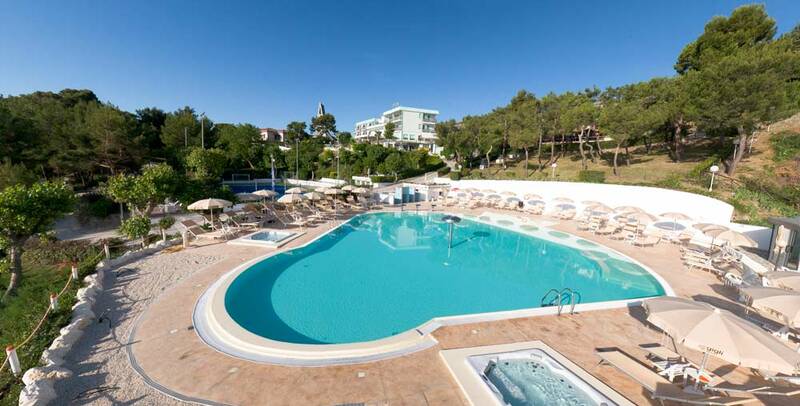 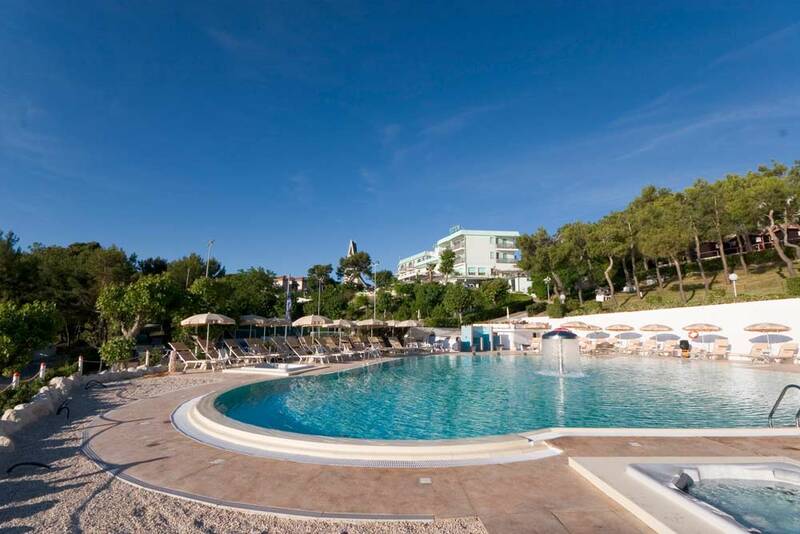 exclusive beach that can be reached trough a path inside the hotel’s park and various services and comforts: large garden with children’s playground, private parking, bowls lane, tennis court, gym (with the possibility of massages on request). 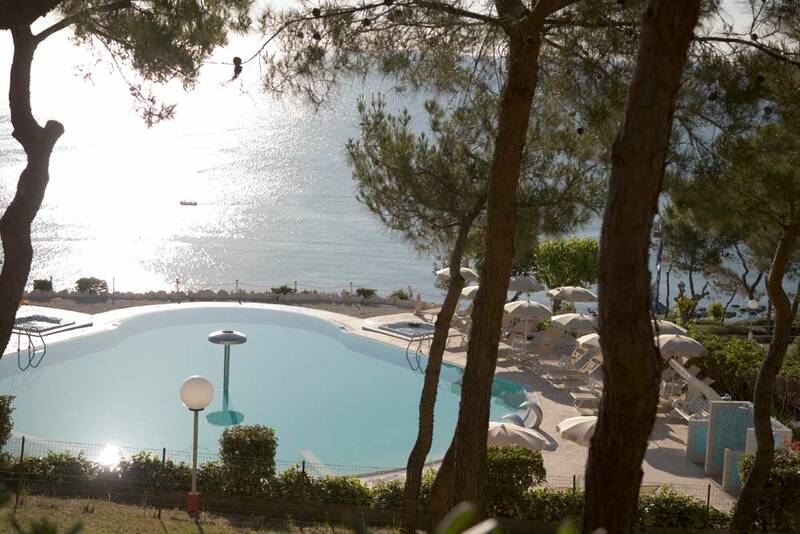 The hotel offers our guests a large relaxing area with pool with sea water, sun deck and pool bar, ideal to spend relaxing and wellness moments in a beautiful landscape of Numana. 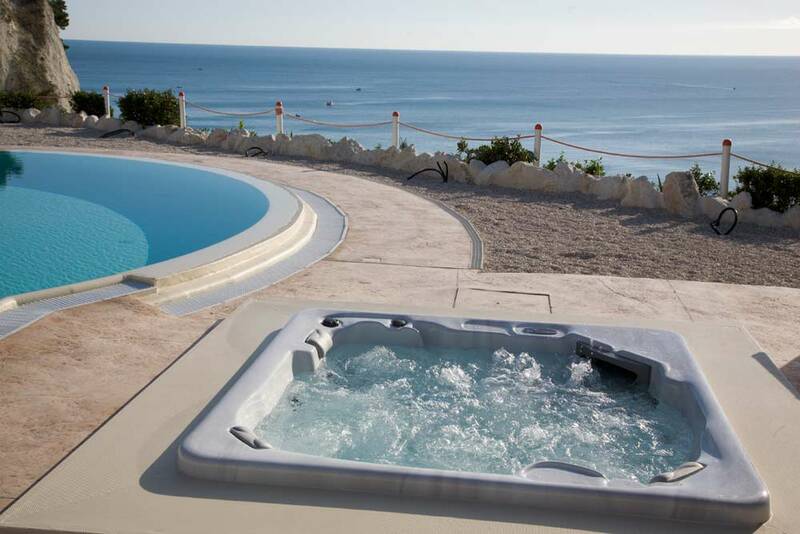 A perfect mix between technology and design water games, relax, spa multi-jet pool and two hot Jacuzzi in a unique natural landscape overlooking the sea of Numana. 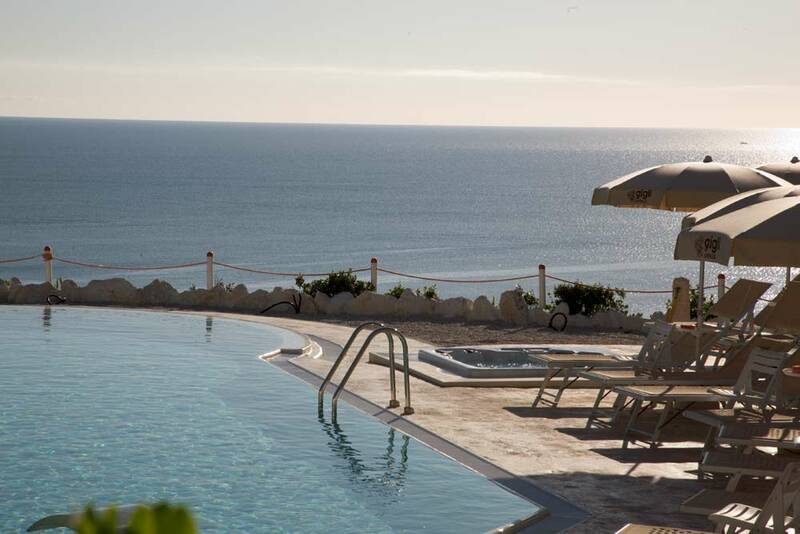 Where the location and the breathtaking sunset are a stay worth! 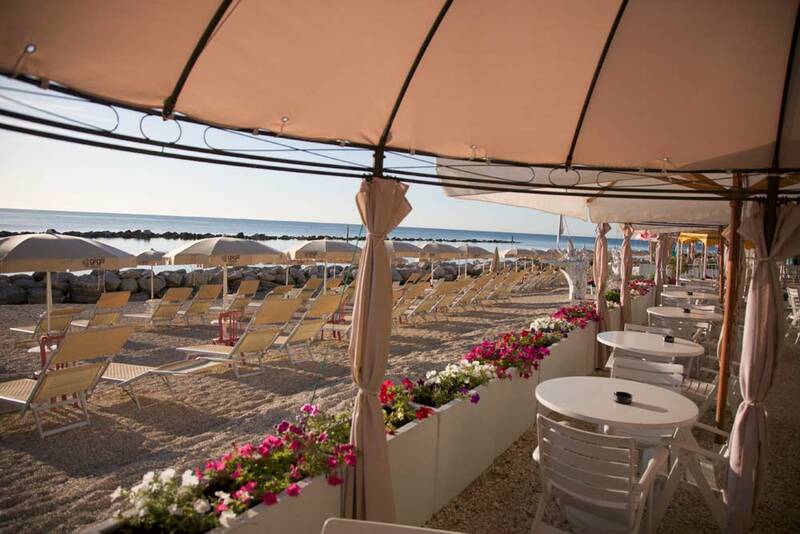 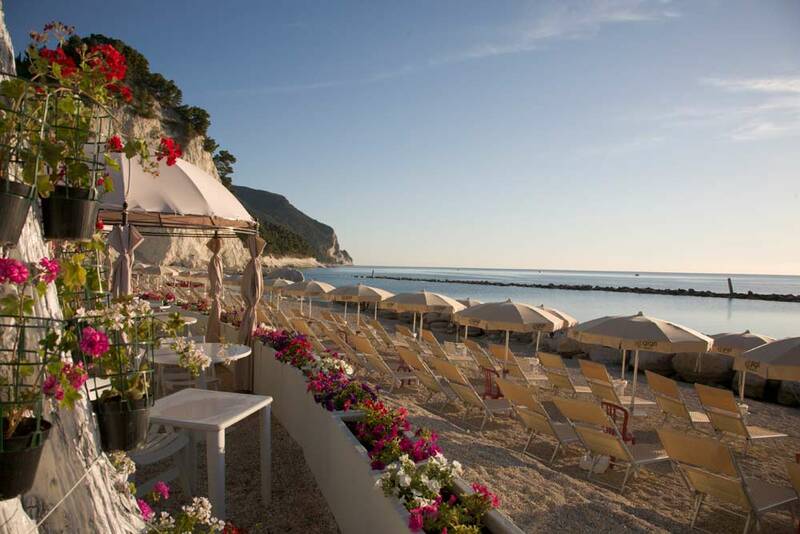 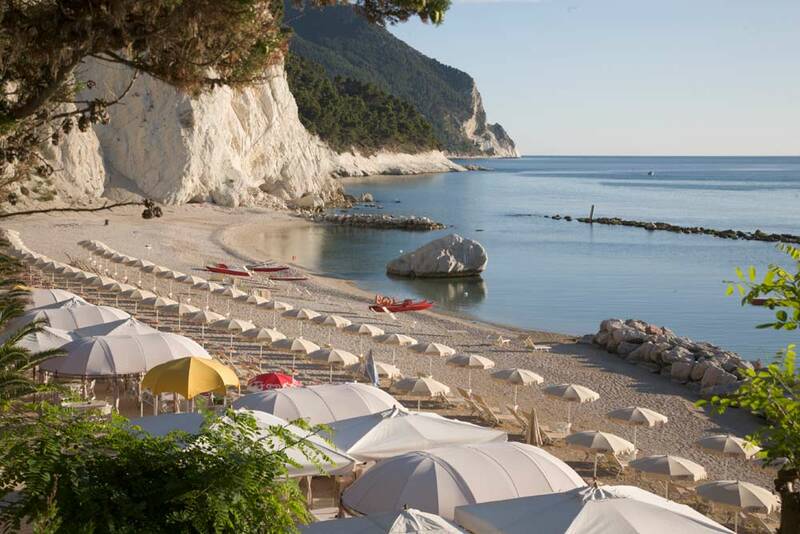 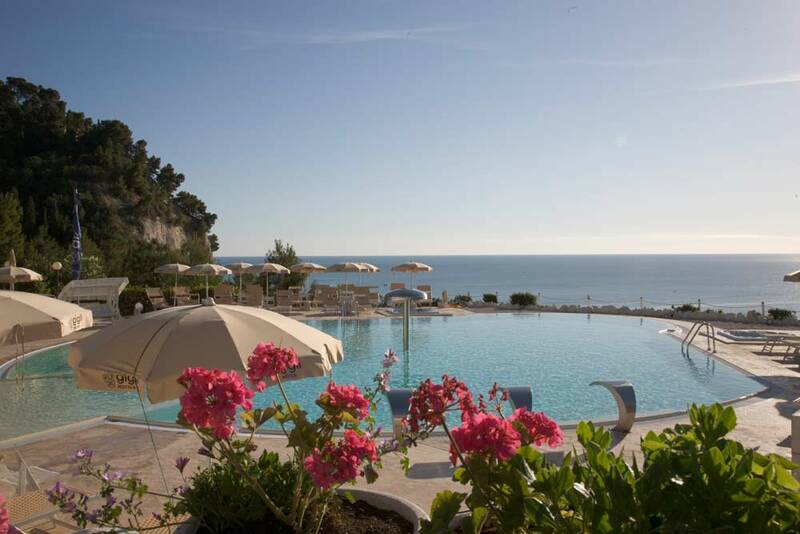 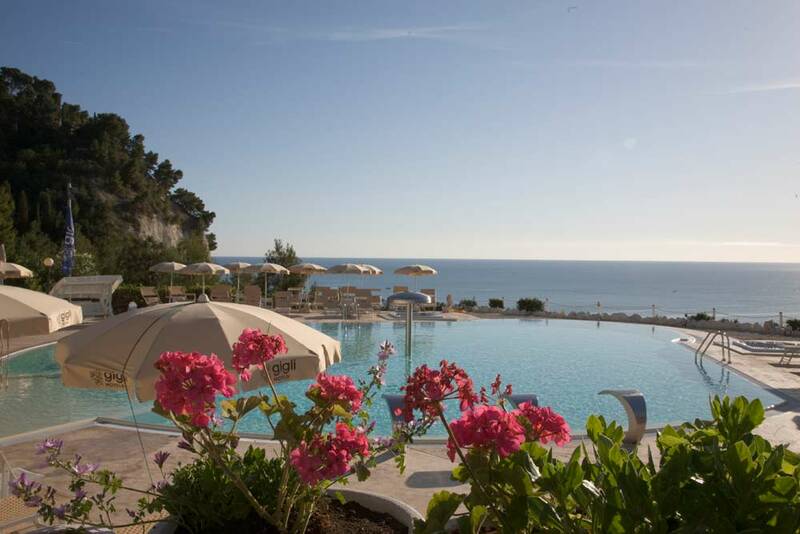 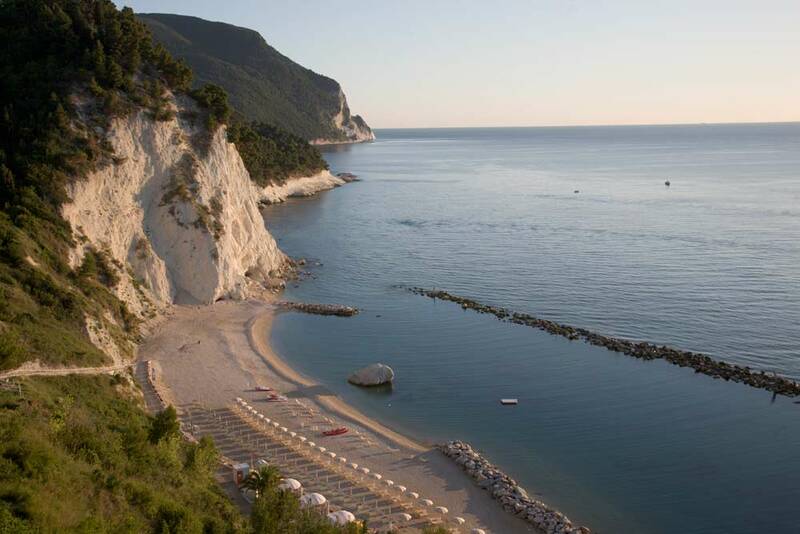 Our guest are provided with the exclusive hotel’s beach: a wonderful coastline within the Conero Park, which was awarded Blue Flag for cleanliness and quality fo life. 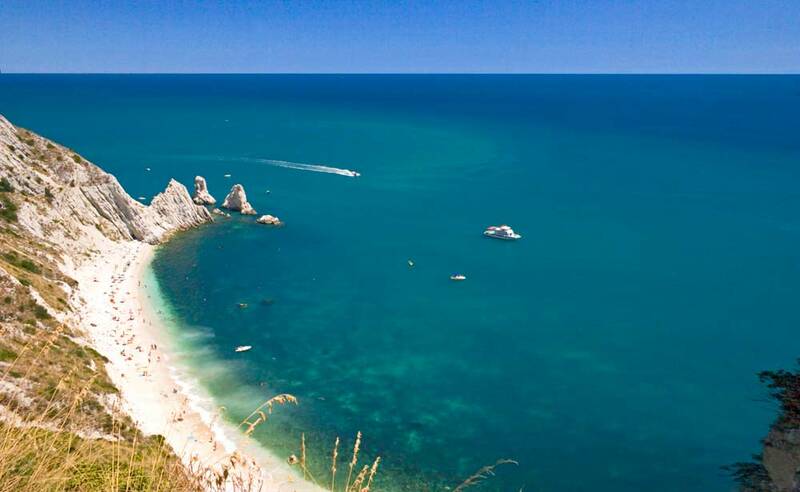 It is a fine, well-kept, secluded, very charming,well-equipped beach, along the coast of numana and it is dominated by rocks cliffs. 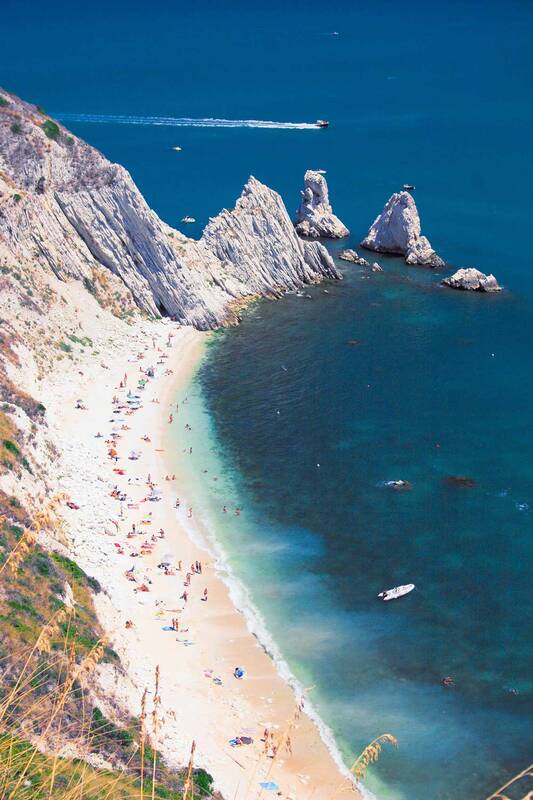 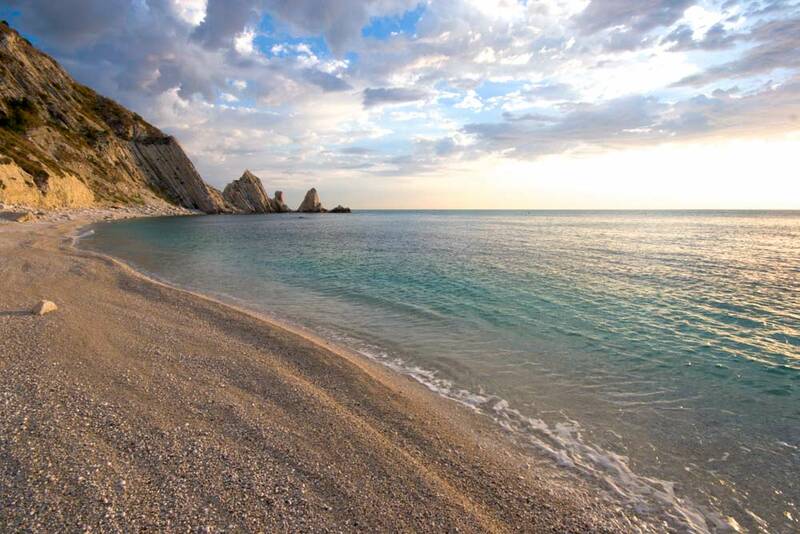 In this part of the coast, the sea is clear, transparent, turquoise, ideal for bathing and swimming. 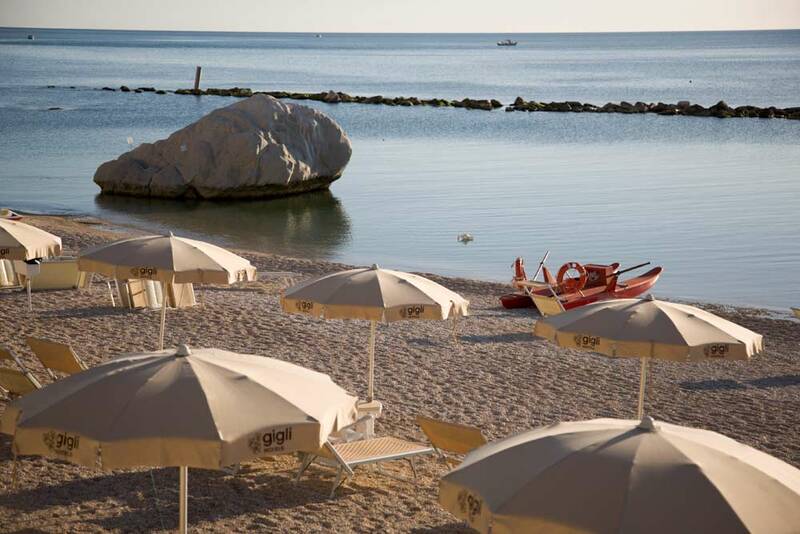 Hotel guests can take advantage of our shuttle service for the only return from 12am to 3pm and from 5pm to 7pm. 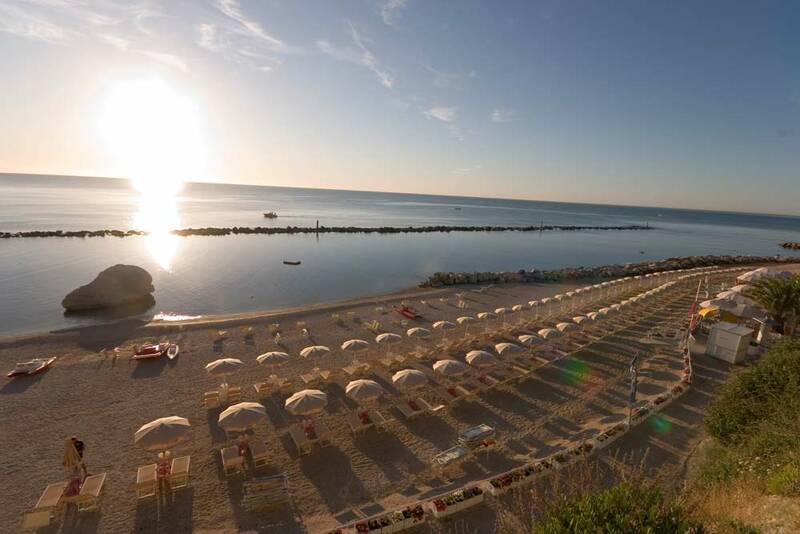 Every day boat’s departure for the “Due Sorelle” beach are organized from the port, that is 1 Km far from the hotel. 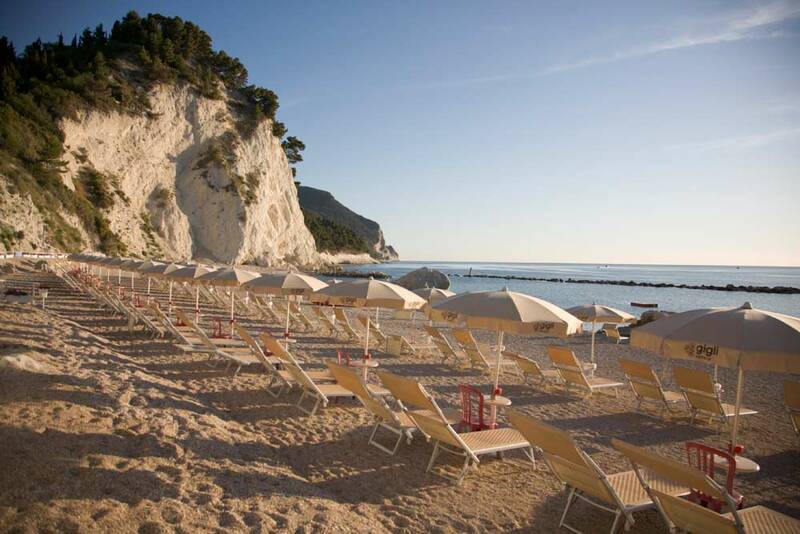 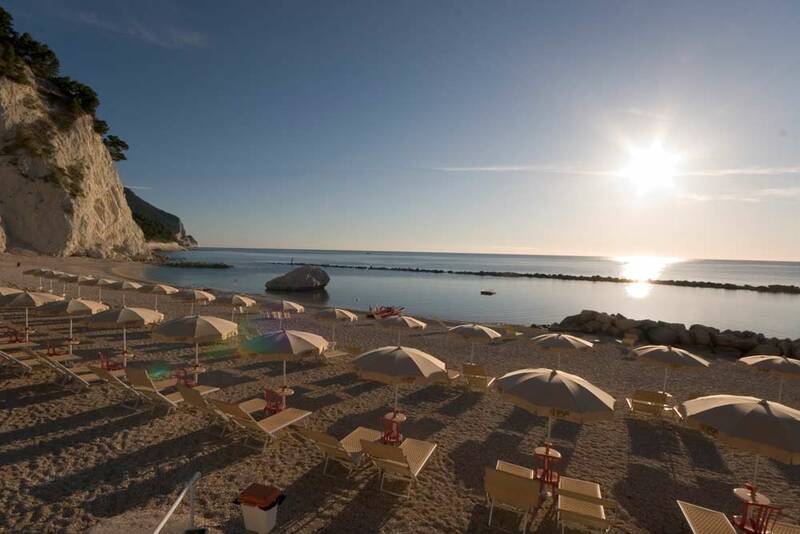 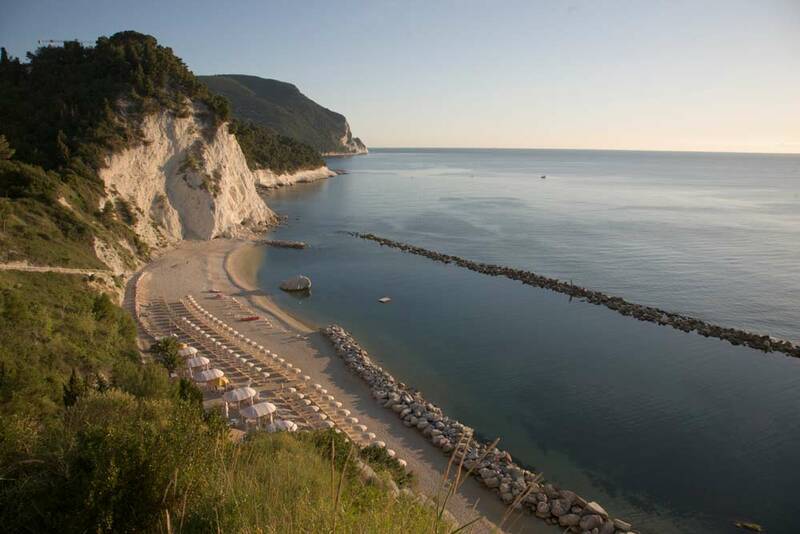 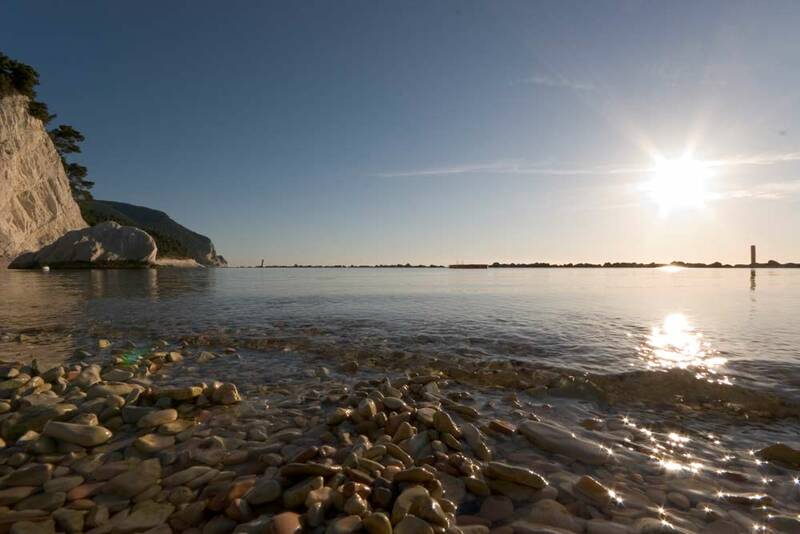 It is located between the rocky walls of the promontory, this bay has become a symbol of the Conero Riviera. 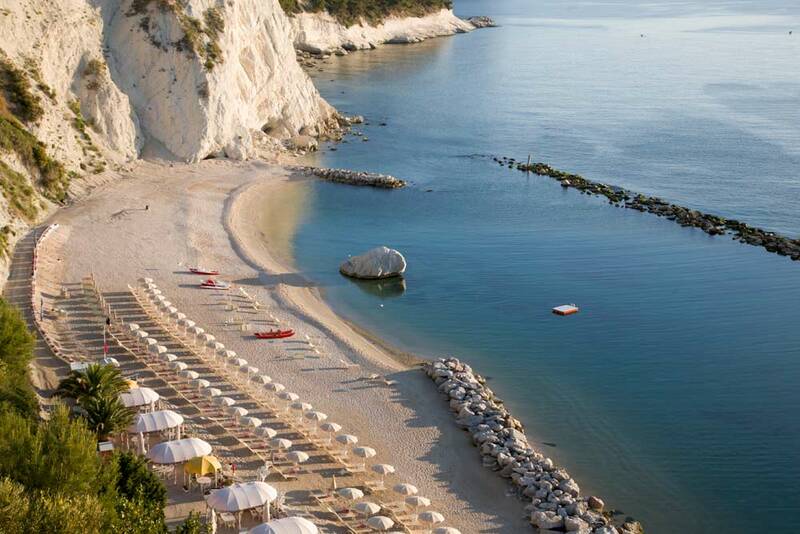 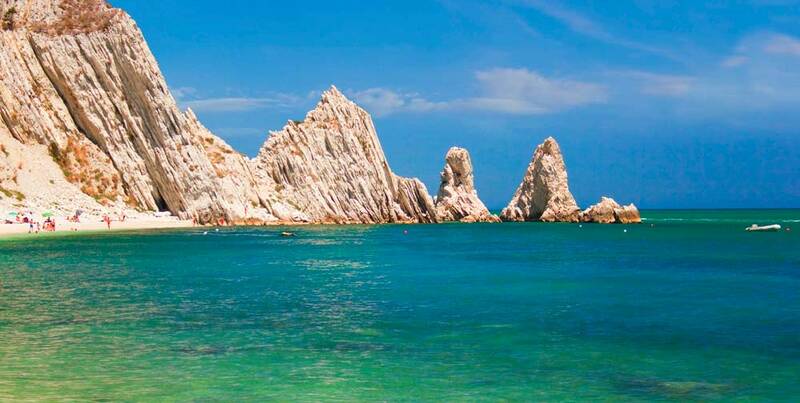 It is awarded as one of the ten most beautiful, suggested and unspoiled beaches of Italy and it is so called because of the twin rocks emerging from the sea. 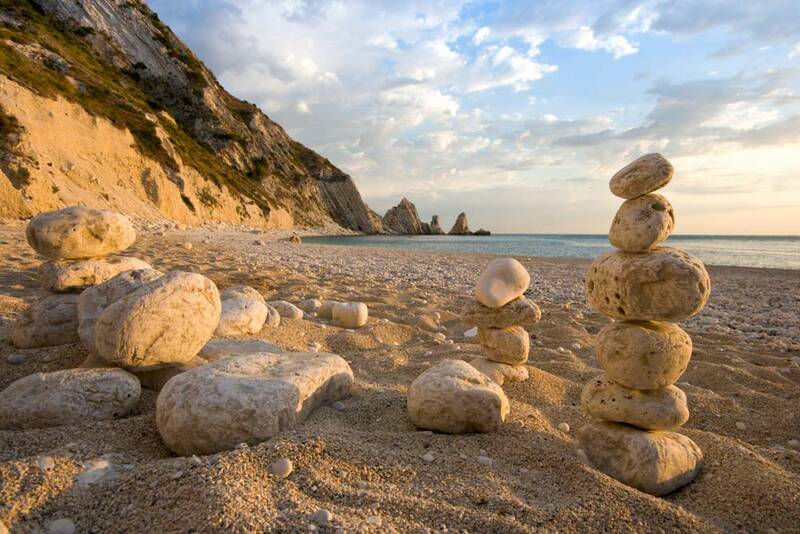 It is made up of white stones, rocks and gravel.